" The fx is light and quiet. I'm an active side sleeper, it is very stable on my face "
" I liked the previous generation, this one is even better. A nice improvement and worth buying the next time you need a new mask. " 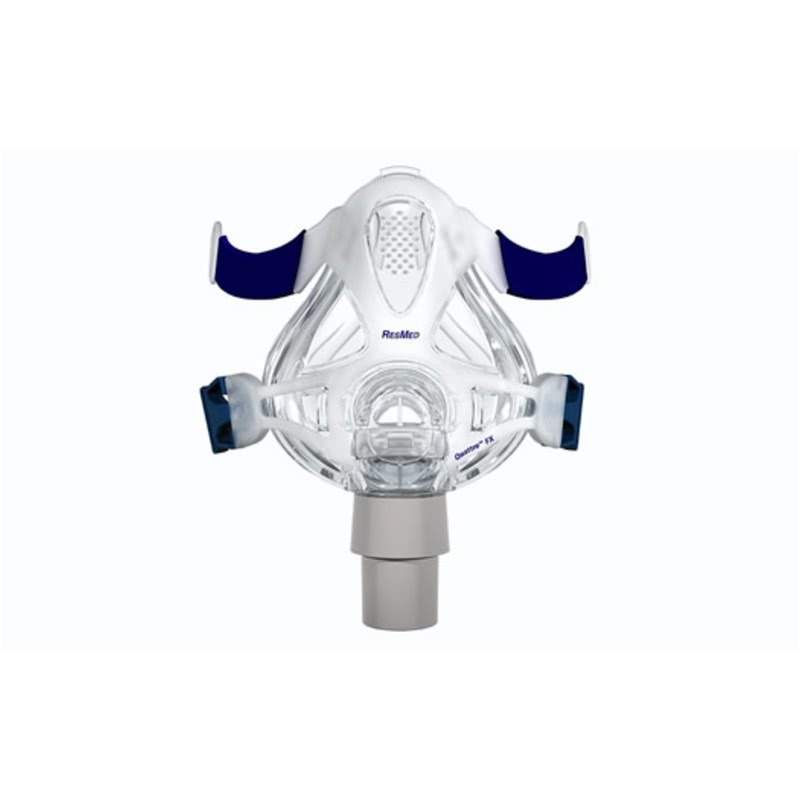 "Less Is More" with ResMed's Quattro FX Full Face CPAP Mask. The streamlined design is unobtrusive and covers less of the face. Experience better performance with a focus on compliance through comfort. The Quattro FX features fewer points of contact on the face, a flexible Spring Air cushion and frame, and a Swing Seal fitting technique for a quick and easy adjustment process. 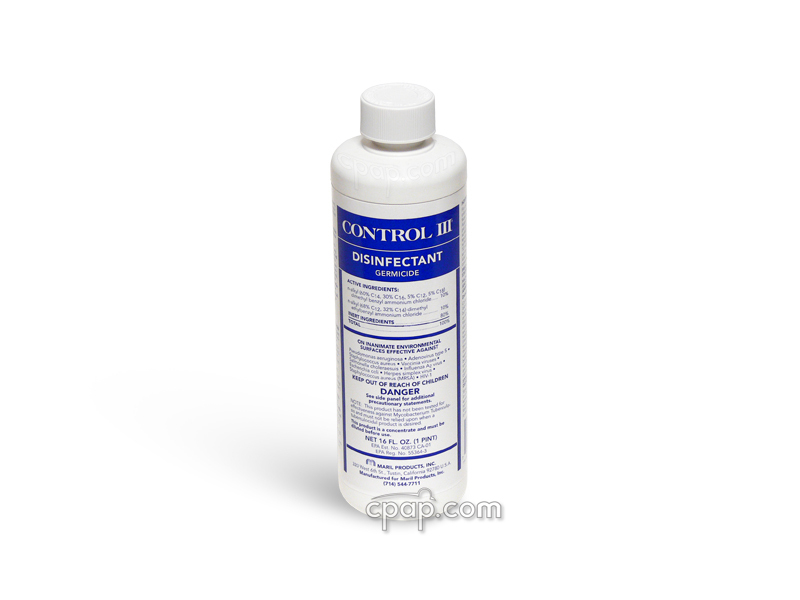 5% of Full Face Mask product buyers choose this product. The overall design of the Quattro FX helps to create a secure seal without the aid of a forehead support. 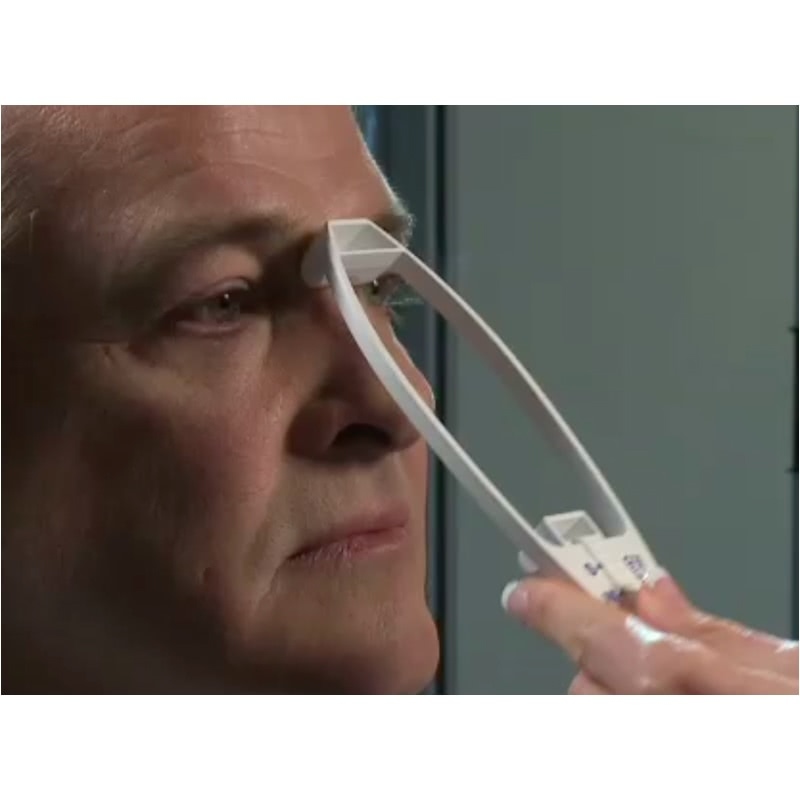 Eliminating the forehead support means fewer points of failure and an end to red marks on your forehead. Without a forehead support, you will also enjoy a clear line of sight for viewing television or reading a good book in bed. Spring Air technology helps to create a suspension-like action between the Spring frame and Spring Air cushion. These two mask parts, along with the contoured crown cap headgear, work together to offer an angular adjustment that makes a forehead support obsolete. The stability of the design helps to distribute pressure evenly around the face, yet reacts to accommodate user movement. 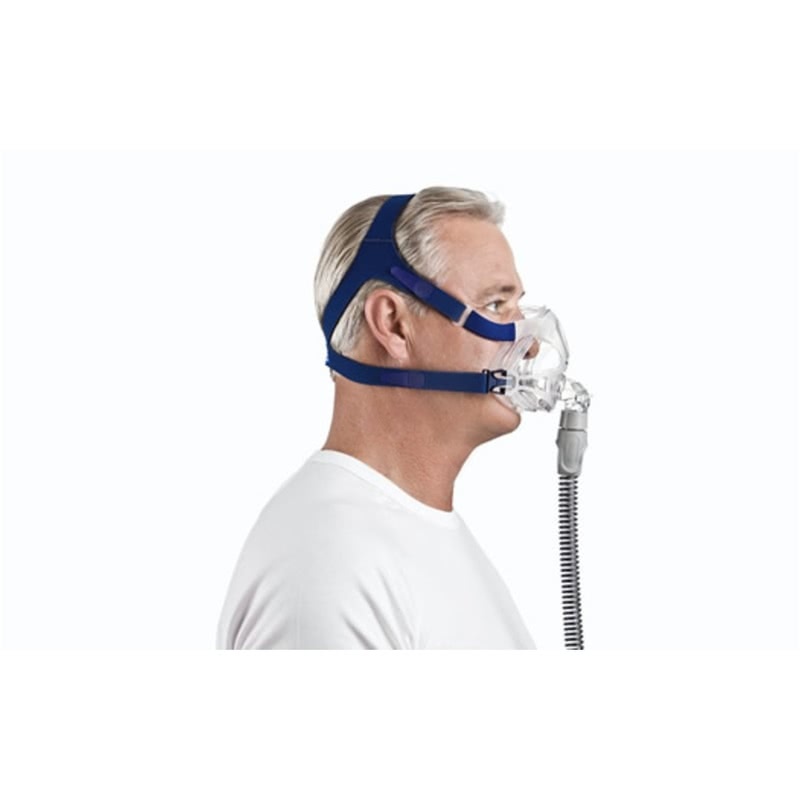 The Mirage series of CPAP masks have endeavored to provide superior cushion design through the incorporation of two cushion layers. The dual-walls consists of an inner, supportive layer that stabilizes the cushion and a softer, outer membrane that reduces the likelihood of leaks and pressure sores. As air flows through the cushion, the outer membrane rolls and inflates around the nose rather than stretching over it. Size. Swing. Seal. Those are the simple steps used for fitting the Quattro FX. The Swing Technique is the result of the Spring Air technology and the dual-wall membrane that surrounds the bridge of your nose. As air flows through the mask and into the cushion, the contoured membrane inflates and gently positions the cushion against the face so that it forms a secure seal without the need to over tighten the headgear. This unique design makes fitting a breeze. With the headgear clips removed, just position the mask at an angle, so that the cushion rests on the middle of the nasal bridge. Then swing the mask down to rest between the bottom lip and chin. Reattach the headgear clips and adjust the side straps for a snug fit. ResMed offers a For Her version of the Quattro with all of the same qualities with a feminine touch. To read more visit this page: Quattro™ FX for Her Full Face Mask with Headgear. For help with using your new mask, please download the Mirage Quattro FX User Guide. For help with finding the correct part and part number for your Quattro FX mask, please download the Mirage Quattro FX Components Guide. This mask always comes packaged with the Medium/Standard size headgear, no matter the size of the mask. Large or Small sizes can also be purchased separately Mirage Quattro FX Headgear. To find the size of the mask frame, turn the mask upside down. The flat bottom of the mask frame and mask cushion needs to face the user. The size is embossed between the ports cap and the edge of the mask frame. A clear letter will indicate the size of the mask frame. The size of the full face cushion is located on the flat bottom of the cushion. Turn the mask upside down with the headgear facing away from the user. 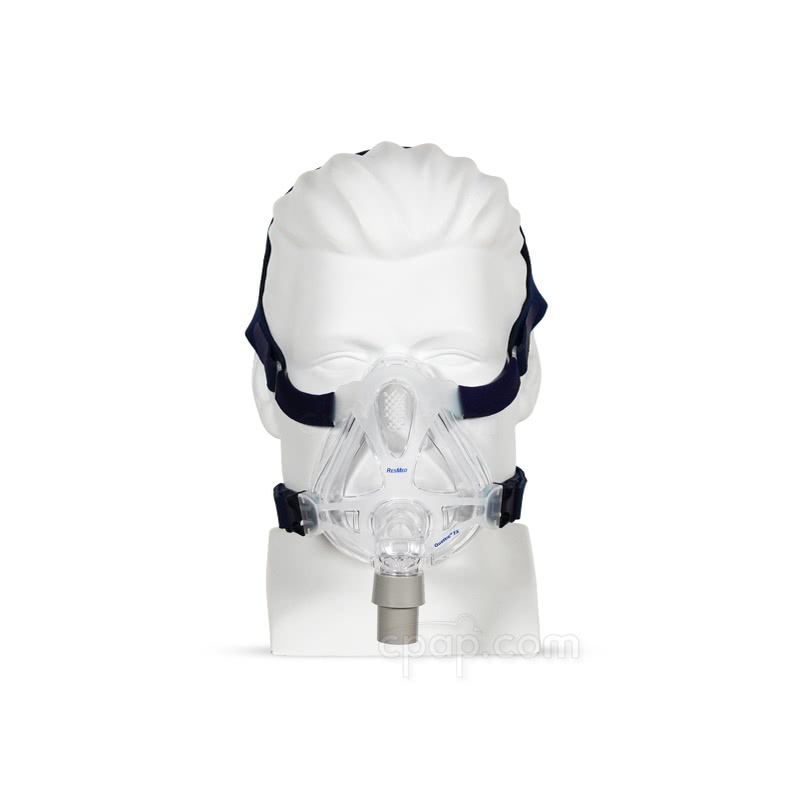 Located on the bottom silicone flap to the right side of the name of the mask, an embossed clear letter will specify the size of the full face cushion. The letter is larger than the word ResMed and Quattro™ FX. Quattro and Quattro FX mask frames, cushion clips and cushions are NOT interchangeable. Individual cushions are NOT interchangeable within each mask. The size must correspond for the mask to work properly. For more information visit the Mirage Quattro FX Full Face Mask Cushion and Clip. The Mirage Quattro sizes DO NOT match up directly with the Quattro FX sizes. The Quattro FX sizes are a bit smaller than the Mirage Quattro sizes. For help fitting your mask, please download the Mirage Quattro FX Fitting Guide. 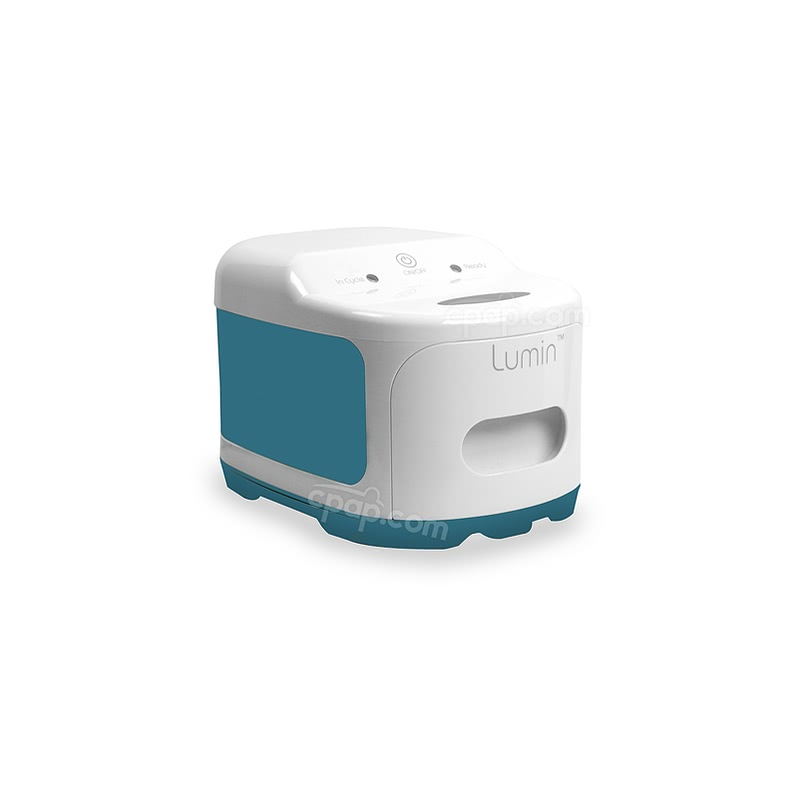 If you experience airway dryness or irritation, using a humidifier is recommended. 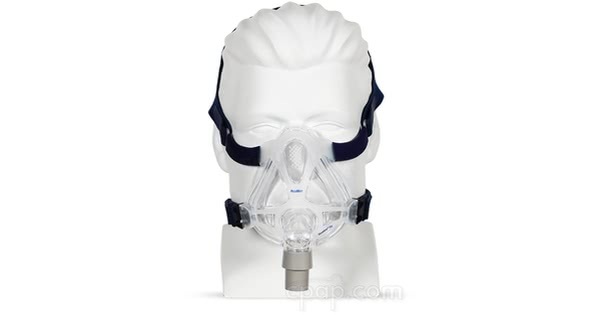 When selecting the proper mask type within the ResMed Mask Fit tool on the S8 and S9 CPAP machines, make sure to set the Mask Setting Options to MIR FULL (if available); otherwise, select FULL FACE as the mask option. I sleep on my side or stomach, what are my options? Sleeping on your side or stomach is preferable to sleeping on your back because sleeping on your back worsens all forms of sleep-disordered breathing. However, sleeping on your side or stomach can present problems with CPAP therapy. Both positions can put pressure on one side of your mask increasing your leak rate. 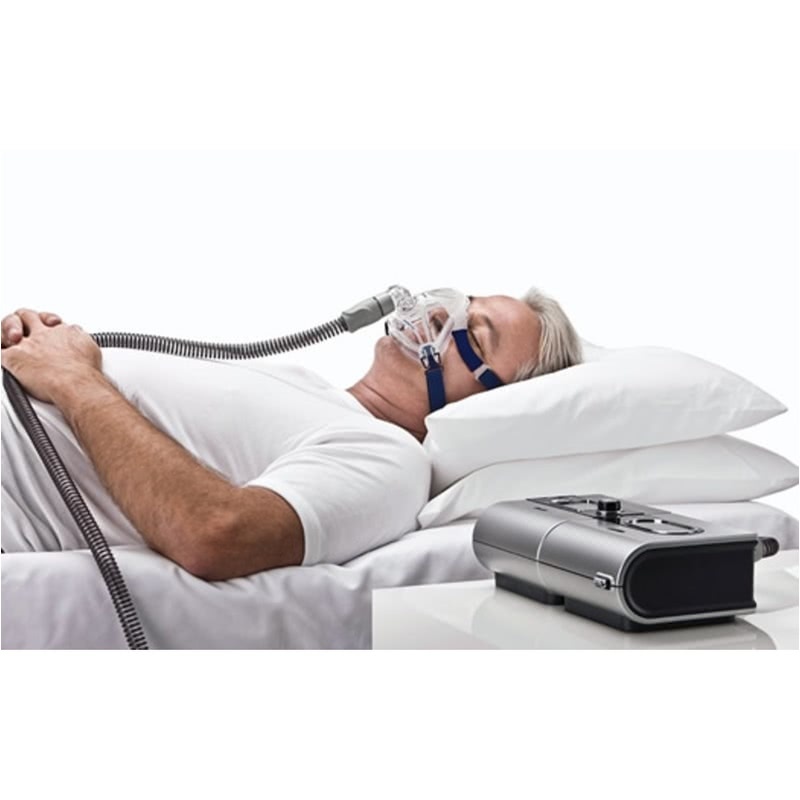 Your options are to (1) try a mask that other side sleepers like (2) try bed pillows made for CPAP users. Masks: In our experience, some masks allow for movement in different sleeping positions better than others. See our recommended masks for Active or Side/Stomach Sleepers. 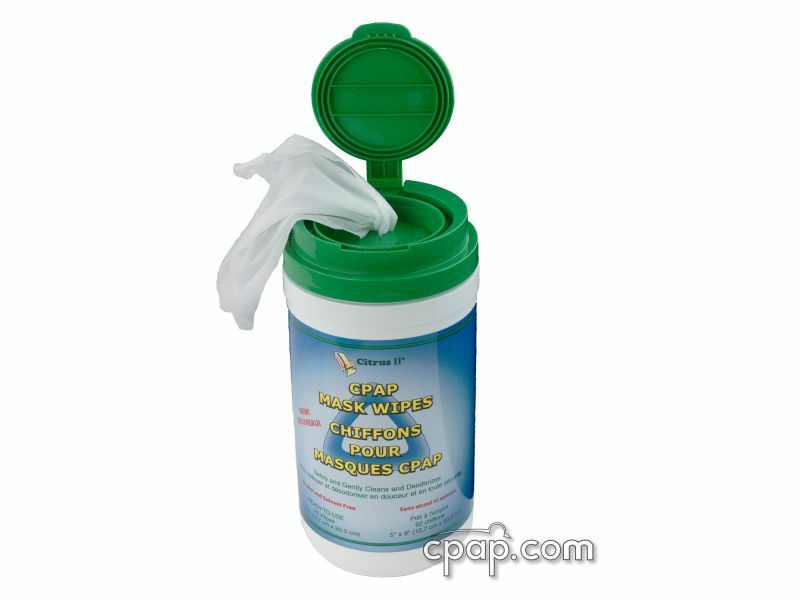 Special CPAP Pillows: Regular bed pillows can put pressure against the mask and cause leaks. 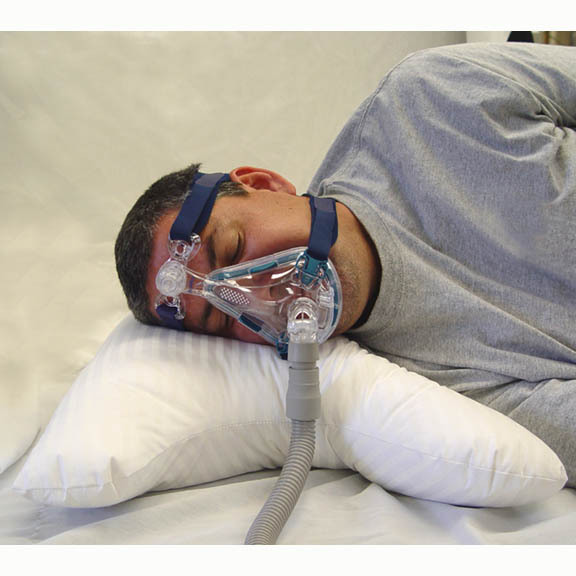 CPAP pillows are made with CPAP users in mind. These special pillows are designed to minimize the contact of the CPAP mask with the pillow, even when you are sleeping on your side.